G&T WEEKENDS kindly hosts weekend holidays away from your normal life, in jaw-dropping countryside mansions around the world, with everything included in the price. It's the ultimate luxury, you'll have no money worries...just fun. Our Weekends are in Europe and the UK right now, with our sights set on more international locations next. A room in a can-you-even-believe-it countryside mansion (yes, you can share with your lover/friend). We research long and hard to find these magical places. At least 30 of them. You'll share meals, drinks, local experiences and the dance floor. Maybe you'll fall in love, maybe you'll dance on the table... we'll see. All meals - cooked by a rockstar chef, shared around a long table in our mansion or at local restaurants. Yep, alcoholic ones too, including some very nice local wines, beers and spirits. Join us in the cellar for wine tastings! 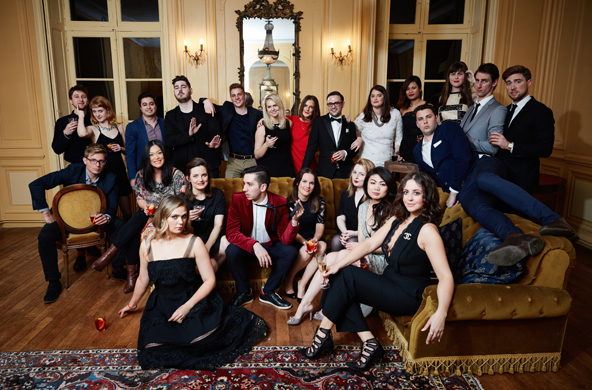 We organise big, celebratory meals at night, with a DJ in the ballroom afterwards... it's going to feel like something between a house party and one of Gatsby's soirées. Living in London were two friends, G & T, Gillian (Canadian) and Tess (Australian), who loved to throw parties, travel, seek adventure and meet new people. In 2014, G&T rented a manor house for a memorable weekend party in the English countryside with 50 of their closest friends. The weekend began Friday night with cocktails and hors d’oeuvres, followed by dancing into the wee hours. The next day, friends competed in clay pigeon shooting, explored the expansive grounds, all followed by a delicious, chef-prepared roast lunch enjoyed beside a blazing fireplace. Later, martinis galore (shaken, not stirred) for a James Bond-themed party. At breakfast the next morning, amid exclamations of “best weekend ever!” by their friends, Gillian & Tess realised they were onto something great. As G&T had organised every detail of the weekend, their friends could relax and have fun. Their friends had busy lives and stressful careers: G&T offered escape and new adventures. And so G&T Weekends was born. Since inception, G&T hosted weekends in Tuscany, Italy and Norfolk, England. In 2016, G&T hosted Champagne-tasting at our French chateau in the Poitou region, as well as a Swedish Crayfish Party in Sweden, a week sailing in Sardinia and New Years in an Icelandic Lodge. 2017 was even bigger and better with Easter in Morocco, Mykonos in May, Montenegro in August, another stint in a Norfolk country house and back to Iceland for two seperate trips. 2018 will see G&T host many more events. Keep a look out and make sure you sign up for their mailing list.